If you own a local laundromat and you’ve decided to sell your business, there are some important steps you should take immediately to make sure the right people find out about the sale and you receive valid offers that are worth your time and effort. After all, the last thing you need is to be taken to the cleaners when you’re trying to sell your laundromat. With these basic items in place - which generally apply to any business for sale - you’re ready to let the world know your laundromat is for sale. Although you’re likely to sell a local neighborhood laundromat to someone who already lives in the area, they’re unlikely to be one of your customers. 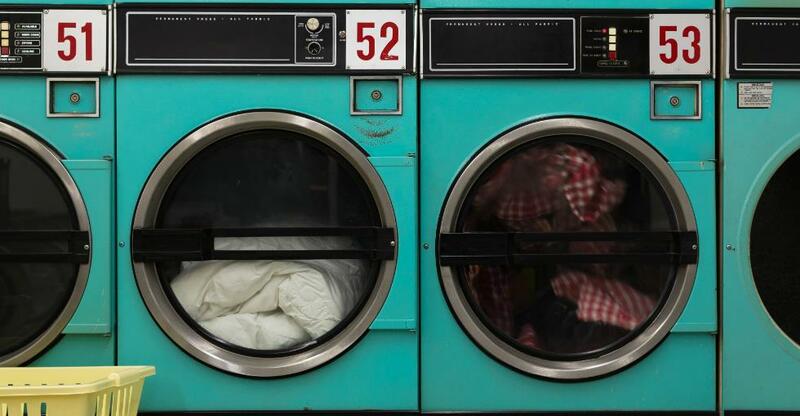 The average laundromat patron is a renter living nearby who likely has a limited income. Most prospective business owners will be homeowners with their own washer and dryer at home. So, simply hanging up a For Sale sign in the window won’t be good enough, and can even hurt business, theoretically. In most cases, your customers come to your laundromat because it’s convenient for them, but also because they’re comfortable there. They probably spend a few hours a week there, and many of them have actually come to enjoy that opportunity to get something done in a clean, comfortable environment. Seeing that for sale sign in the window could disrupt their comfort level and get them thinking about the laundromat down the block. It may be a slightly further walk, but it’s not going anywhere (as far as they know) and it could feel like a safer bet. Along with possibly upsetting your customers, a for sale sign could impact the morale of any existing staff. Many staff won’t find comfort in changes that they don’t know the timing or outcome of. This is not to say that you should start by restricting your marketing efforts to just the local area, but that your best prospects will already be in the area, and may even be familiar with your laundromat. While you could, theoretically, reach out to your competitors and other local businesspeople directly, this is both time consuming and awkward. A better option is to work with a businesses for sale listing service and bring on a professional business broker to handle locating buyers and initial negotiations. This method allows you to target the best prospects while ensuring that other less likely - but viable - options are not overlooked. One of the keys to successfully selling a business that many owners don’t realize is that it tends to take quite a while; 6-9 months is the average, with over a year on the market not being uncommon. This is assuming you’re hoping to get top dollar for your laundromat, and are not willing to sacrifice value for a faster sale. The entire time your laundromat is on the market, you have to expect that a prospective buyer may visit - even unannounced - to get a feel for the value of the business he or she may be interested in purchasing. That’s not the time for them to see a stained ceiling tile from water damage or an “out of order” sign on an industrial washer. Just like when someone is house hunting, the curbside appeal - or visual first impression - has a lasting effect on the eventual offer that prospective buyer is willing to make.